Deepak Choprah introduces Grace Rwaramba to Michael and she is hired as a secretary at MJJ Productions. Michael is on the cover of Rolling Stone magazine. Janet is presented with the Chairman’s Award at the NAACP Image Award. Remember The Time is released as the second single from the “Dangerous” album. Fox, BET & MTV simultaneously premiere the 9 minute short film for Remember The Time. Michael holds a press conference at Radio City Music Hall in New York to announce his new endorsement deal with Pepsi + his new world tour to raise funds for his newly formed Heal The World Foundation. Michael is in Washington D.C to receive a Lifetime Achievement Award from NABOB (National Association of Black-Owned Broadcasters) Reverend Jesse Jackson present him the award. Michael is welcomed by 100 000 people when he arrives in Libreville in . President Omar Bongo presents him with a Medal Of Honour at the Ambassador’s Hall in the Presidential Palace. The town of Oyen welcomes Michael and he is crowned “King Of Sami” by tribal chief Amon N’Djafolk. In Dar-Es-Salaam, Michael is the guest of President Ali Hassan. Michael travels 30 000 miles but his excursions to hospitals, orphanages, schools & churches receive little positive media coverage. Michael appears on the cover of Jet magazine with Eddie Murphy & Iman. Michael visits Madame Tussaud’s Wax Museum. Michael flies back to Los Angeles. Janet is presented with the Sammy Davis Jr Heritage Award at the Soul Train Awards. Michael is on the cover of Jet magazine with an interview in Africa. Janet attends The 7th Annual IFP/West Independent Spirit Awards. Michael films the video for In The Closet directed by Herb Ritts and featuring Naomi Campbell. He has dinner with the winner of a MTV Contest. Janet begins to film shoots the movie Poetic Justice directed by John Singleton in Los Angeles and featuring Tupac Shakur & Q-Tip. During the filming, she shares an appartment with her friends Tina Landon, Tish Oliver & Jossie Harris. “In The Closet” Is released as the 3rd single from the “Dangerous” album. The In The Closet video is premiered on FOX, MTV & BET. The single “Someone Put Your Hand Out” is released in Europe as an exclusive Pepsi promotional single, to promote the upcoming Dangerous World Tour. Michael meets Jordy Chandler and they exchange phone numbers. Grace Rwaramba is hired at MJJ Productions. Michael is in Washington to accept a Point Of Light Award from President Bush. While in Washington , Michael visits a little girl, Raynal Pope, who was mauled by dogs. Michael covers the funeral costs of Ramon Sanchez who was killed by a stray bullet during the LA riots. The Jacksons An American Dream mini series is filmed at Hayvenhurst. Michael goes to Manhattan in NYC to attend “One To One” gala where he is awarded for his charity work. And then he goes ti Tavern On The Green and Plaza Oak with Donald Trump & Elizabeth Taylor. Dancing The Dream, a book of poetry & essays from Michael Jackson is published by Doubleday. The “Jam” video is premiered on FOX, BET & MTV. Michael & his entourage arrive in Munich . Travelling with him are Brett Barnes, Bob Jones, Bill Bray, Wayne Nagin, Karen Faye, Michael Bush & the whole tour crew. Michael films the video for Give In To Me with Slash in Munich . Michael presents a cheque to the Mayor of Munich for the city’s needy children at the capital’s City Hall. Michael kicks off the Dangerous World Tour at the Olympic Stadium in Munich . Michael visits Sophia Children’s Hospital in Rotterdam to donate £100 000. The new Jackson/Pepsi commercials Dreams & I’ll Be There are aired on TV. The Best Things In Life Are Free, a duet between Janet & Luther Vandross is released and becomes a big hit even though Janet does not appear in the video. LaToya is on the cover of Ebony Magazine about her new life in Paris performing a revue titled “Formidable” at the famous Moulin Touge Cabaret. LaToya was to perform two shows a night, six nights a week and was the highest paid performer in the cabaret’s history earning a reported $5 million. Though Formidable was successful, selling out on most nights, LaToya departed half-way into her year-long contract owing the nightclub $550,000 in damages. Last day of filming for the “Poetic Justice” movie. “Jam” is released as the 4th single from the “Dangerous” album. The Who Is It video is premiered on BBC2 but Michael withdraws it the day after. Michael visits for the first time Disneyland Paris with Brett Barnes. Michael arrives to the Queen Elizabeth Hospital for Children in London with Mickey & Minnie characters! Later he checks in the Dorchester Hotel. Concert in Wembley. Janet, Rene & Tina attend the show. Michael meets Prince Charles backstage before his second Wembley concert and presents him with a cheque for £200 000 for the Prince’s Trust. Michael cancels the third Wembley concert at the last minute. Michael attends the first Heal The World European Children’s Congress at the Regent’s College in London despite suffering from laryngitis. Michael spends his 34th birthday in Regensburg at the castle of Princess Gloria Von Thurn And Taxis . Michael phones to Ryan White’s mother during her appearance at the Maury Povich US TV Show. Michael cancels his concert in Gelsenkirchen because of severe throat problems. Concert at the Hippodrome de Vincennes in Paris . Michael officially launches his Heal The World Foundation at an orphanage in Bucharest in presence of the prime minister of Roumania. Alejandra Loaiza gives birth to Randy Jackson Jr in Colombia, South America. When Randy learns about it, he flies to Colombia and take Alejandra back to California with their children Genevieve & Randy Jr.
Five hours before Michael is due to perform in Istanbul , the concert is postponed and Michael is on his way to London . Michael consults a Harley Streetspecialist regarding throat problems. Michael has to cancel the rest of the European tour in order to rest. Cable TV network HBO broadcast another version of the Bucharest concert earning the highest cable TV ratings in history! Michael is on the cover of TV Guide. 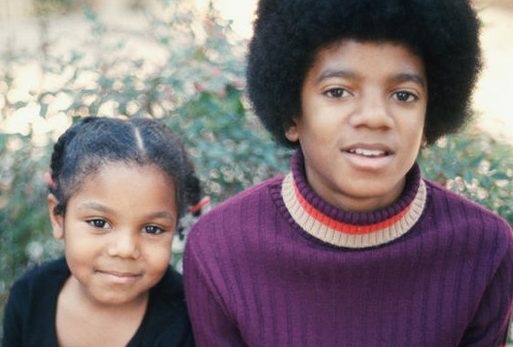 The Jacksons-An American Dream is aired on ABC. 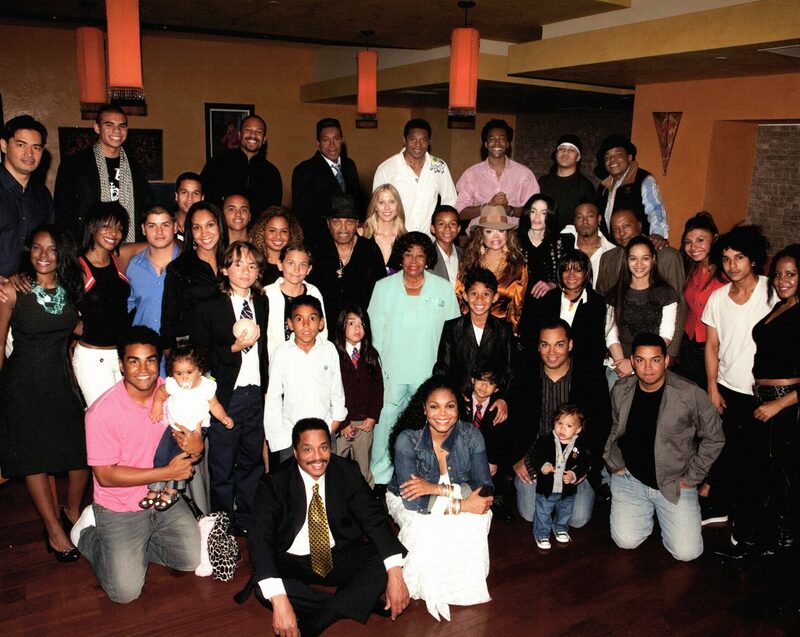 This mini series about the Jackson family I produced by Jermaine & Margaret and becomes a huge success. Katherine, Joseph, Jackie, Lea Bongo, Jermaine & Margaret gather at Hayvenhurst to watch their story on TV! “Heal The World” is released as the 5th single from the “Dangerous” album. Inside a hangar at New York ’s John F Kennedy Airport , Michael witnesses the loading of 43 tons of medical supplies flown by Heal The World & Americares. Janet & Rene arrive in Minneapolis so start the recording sessions of Janet’s next album. They stay at Jimmy Jam’s home. At the Billboard Music Awards, Michael accepts two awards through a video presentation filmed earlier with Phil Collins at Neverland. Michael arrives in Tokyo and checks in the Capitol Hotel. At a press conference at the American Consulate, Michael accepts a cheque of $100 000 for Heal The World. Concert at the Tokyo Dome. Michael visits Sega Enterprises and discusses a new project. Concerts at the Tokyo Dome. Janet & Rene leave Minneappolis and fly to Anguila for the holidays. Michael flies to Nagasaki-Ken to visit the amusement park Huis Ten with Tito’s children, the 3T. Michael returns to Disneyland Tokyo with the 3T. Last concerts at the Tokyo Dome with Slash playing the guitar!